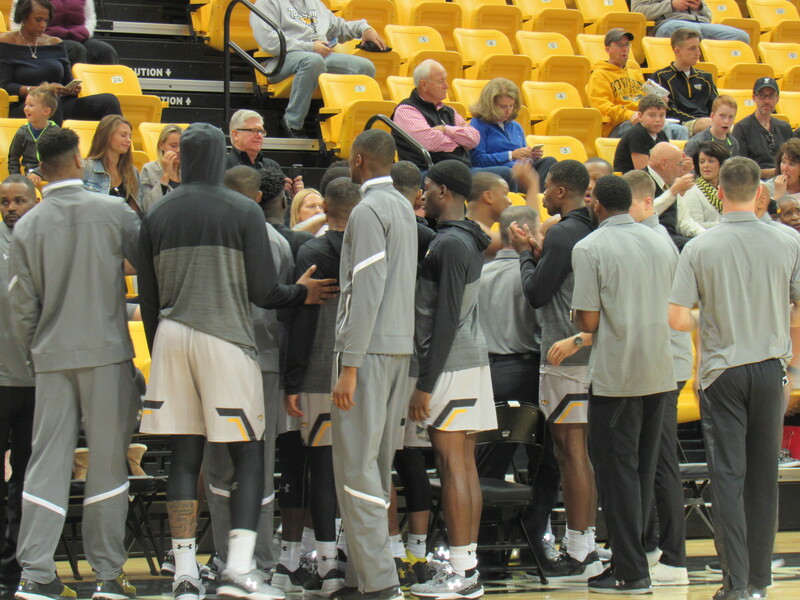 In the first exhibition game of the season for the Towson Tigers, they took on the Bucknell Bison. It was senior guard, Eddie Keith who set the tone with the big time body bag dunk over a Bison defender in the second half, but sophomore forward, Justin Gorham was by far the best player on the court going for a double double 21 points and 10 rebounds. He will have a huge impact on the Tigers this season coming off a season where he didn’t play as much. This game was fast pace starting out as both teams trade basket for basket. 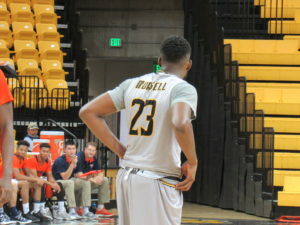 The Bison wanted an uptempo game as well running with the Tigers at the exact same pace, every time the rebound was secured by the Bison, they looked to senior point guard Stephen Brown to push the ball and make good decisions in transition as he did finding open shooters and setting up good plays for his big man Nana Foulland to score down low. Foulland had 22 points and 9 rebounds in the contest. The Bison took their first lead midway through the first half after a Kimbel Mackenzie three pointer to make their lead 19-16. As for the Tigers, senior guard Mike Morsell got off to a good start scoring the first two baskets of the game to start the 2017-2018 season. Sophomore forward Justin Gorham who played limited last season made some huge plays grabbing rebounds and going back up strong at the rim against the Bison front court. 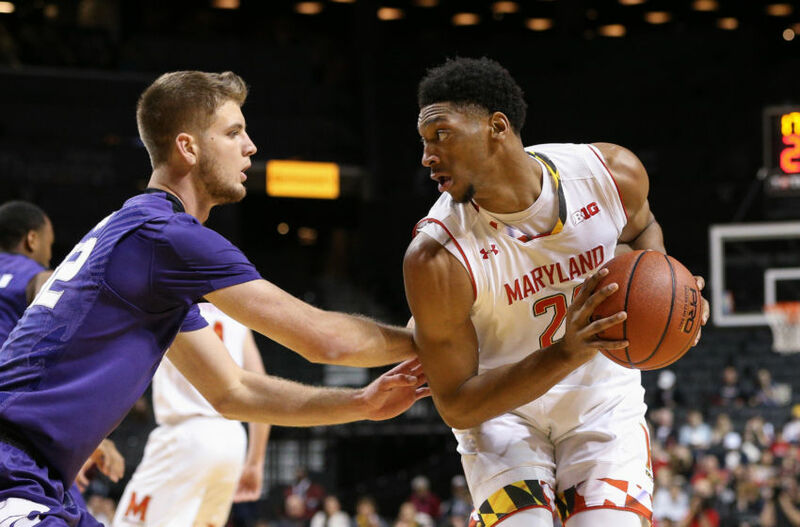 Eddie Keith who was a huge standout last season averaging 4.8 points per game seemed to struggle early on on the offensive end losing the ball going to the rim and a few turnovers just being a little over aggressive. With five minutes left in the first half, the Tigers went on a bit of a run following two back-to-back baskets by Brian Starr and a basket by Gorham after a Mike Morsell missed shot to get their deficit to two. In the final minute, both teams were in the bonus and it was just a battle of free throws the rest of the half. At the half, Bucknell led 39-35. Zach Thomas and Nana Falloud led the way for the Bison combining for 16 points, and Morsell and Gorham combined for 20 points and 8 rebounds for the Tigers at half. Morsell will be the Tigers go to guy this season following a stellar last season averaging 13.6 points per game leading the Tigers. 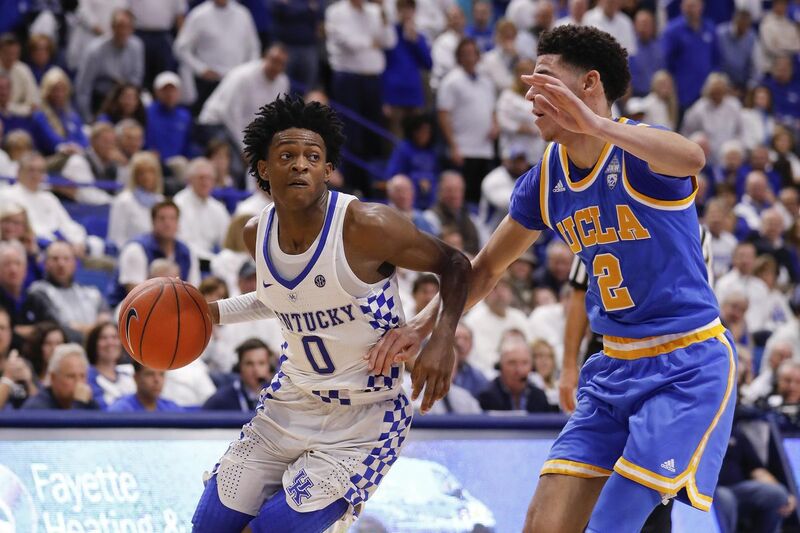 Gorham who only averaged 3 points per game last season did not play as much as a freshman now he is starting in his sophomore campaign and making a huge impact. Coach Pat Skerry will have no regrets with him as his numbers will increase drastically this season. The Tigers took their first lead of the second half at 45-43 after playing excellent defense on the Bison’s bigs and also credit that most of those three pointers that they were knocking down in the first half did not fall early on in the second so the Tigers connected in transition on those plays. Junior guard, Jordan McNeil came off the bench for the Tigers to extend their lead to double digits at 56-46 after knocking his second huge three of the game in the corner, which called for a Bison’s timeout. Mind you the Bucknell Bison took a 10 point lead on the Tigers in the first half. The second half Justin Gorham went live scoring bucket after bucket. 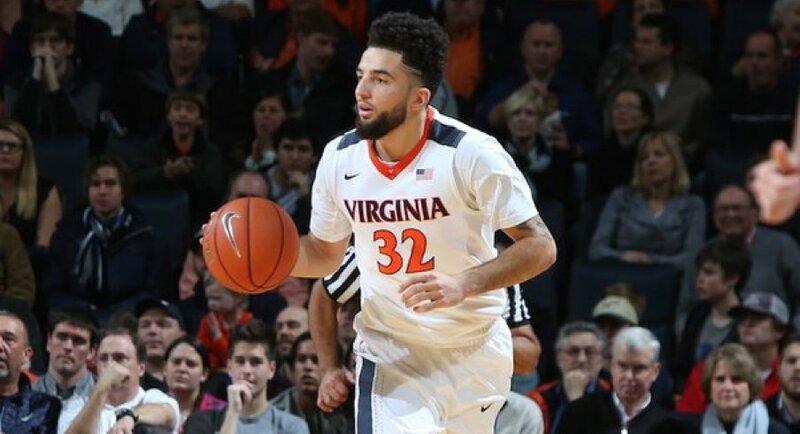 It started with him grabbing a huge rebound over two Bison players after a missed free throw and putting it back up for the bucket and one, then came down the next possession for an isolation on the right block for the step back jumper. With seven minutes left in the game, he had 19 points and 9 rebounds. The biggest play of the game might have been the huge body bag dunk by Eddie Keith in the second half to keep the Tigers lead at 10 with six minutes to go in the half. As the game kept going back and forth, Stephen Brown and Nana Falloud were doing all they could to try and get their lead back to finish out the game with the win, but the Tigers weren’t going to let that happen. After Stephen Brown’s sweet euro finish with the left, Towson kept their foot on the pedal to finish out the game with 93-86 win over the Bucknell Bison. Gorham finished the game with 21 points and 10 rebounds and Mike Morsell also finished the game with 21 points of his own with 5 rebounds. Eddie Keith and Alex Long combined for 24 points in the game. The Tigers next home game will be November 13th versus Frostburg State University.